Jobs in Chennai – Aon Hewitt Walkin Drive for freshers from 25th to 27th May 2015. Aon Hewitt Recruitment drive for freshers as Team Member(backend) position. B.Com, BBA, BHM, BA, B.Sc Freshers are eligible to attend this drive. Interested and eligible candidates can directly attend the walkin interview at the below mentioned location. 0 – 2.6 years of previous experience in back office/Non Voice preferred. 2015 freshers can apply with final semester marks available. Aon Hewitt is the global leader in human capital consulting and outsourcing solutions. The company partners with organizations to solve their most complex benefits, talent and related financial challenges, and improve business performance. Aon Hewitt designs, implements, communicates and administers a wide range of human capital, retirement, investment management, health care, compensation and talent management strategies. With more than 30,000 professionals in 120 countries, Aon Hewitt makes the world a better place to work for clients and their employees. 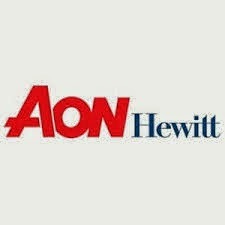 For more information on Aon Hewitt, please visit www.aonhewitt.com.